But how long will the outgoing leader stay on as spokesman? John Schnatter will step aside as CEO on Jan. 1, 2018, being replaced by COO Steve Ritchie. 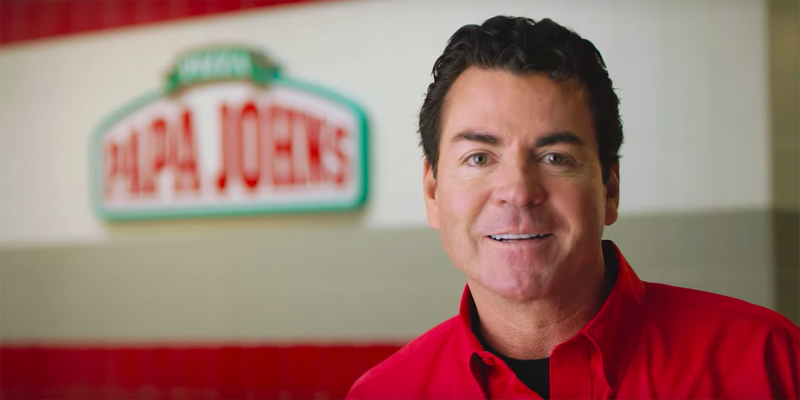 “Papa” John Schnatter may be stepping aside as CEO of the pizza empire he founded in 1984, but don’t expect him to vanish from the brand’s ads and packaging. As of Jan. 1, 2018, the pizza chain will be run by new CEO Steve Ritchie, who has been serving as chief operating officer, the company announced late this week. Schnatter will remain chairman of the board, and it appears he will also remain the face of the company. Schnatter previously stepped down from the role in 2005, only to return three years later. He has consistently appeared in the chain’s advertisements and on almost all of its branding materials, from pizza boxes to in-store signage. However, his iconic role with the company hasn’t always been a positive. On a Nov. 1 call, he said “NFL leadership has hurt Papa John’s shareholders” by not resolving the high-profile “take a knee” movement embraced by some players in protest of violence and injustice against black Americans. Papa John’s is an NFL sponsor. It’s unclear how much, if at all, the issue led to Schnatter stepping aside as CEO. Given that Schnatter will remain as a spokesman, however, it’s unlikely that any of his critics will be placated by the move. Is the CEO spokesman era ending? The dual role of CEO and advertising spokesperson was a relatively common sight in the 1980s and ’90s, thanks largely to the success of chicken pitchman Frank Perdue. Put in front of the camera by agency Scali, McCabe, Sloves in the early ’70s, the avuncular Perdue proved to be a natural salesman and is credited with pioneering the idea of branding for a product like chicken. From the 1990s through today, inventor James Dyson, who revolutionized the vacuum cleaner industry before creating a wide range of other household gadgets, brought a tone of sophistication and expertise to his company’s ads, helping justify his products’ higher price points in categories crowded with legacy brands. Michael Dubin, CEO of Dollar Shave Club, is another modern example of an iconic leader and spokesperson, one whose mainstream appeal likely stems from the fact he began as a content creator before becoming a successful entrepreneur and selling his creation to consumer good behemoth Unilever. A CEO spokesman can, of course, be a liability as well. The fates of executives rise and fall, making it hard to predict or ensure the longevity of a nonfictional spokesperson. When a CEO is deposed, the ads can end rather abruptly and create a consumer PR headache that most corporations wouldn’t experience from boardroom politics. Take, for example, George Zimmer. The Men’s Wearhouse founder and CEO starred in countless ads from the 1980s and into the 2010s, turning his tagline—”You’re going to like the way you look, I guarantee it.”—into a piece of pop culture and, eventually, even a meme.